Darkness, demons, death and destruction - these terms are certainly among the core competencies of Metal. Befitting the occasion of Halloween, we add five scary bands to the billing of the upcoming festival! Polish Death Metal Masters Behemoth are finally back in Wacken! The band hasnt played in Germany for two years, but now they will return with a new album and a completely new stage show. The successor to their masterpiece "The Satanist" is impatiently awaited, but Nergal and his men are still in the cards. We dont know what to expect but are certainly very curious! 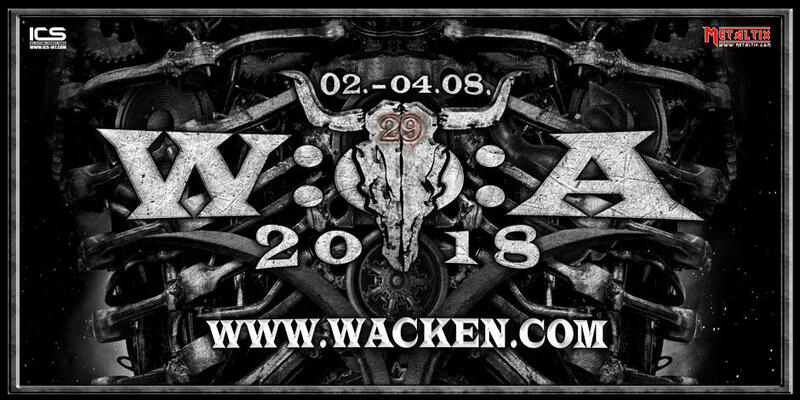 Two shows will be performed by Samael in Wacken! Their "Worship and Ritual Show" focusses on the first two albums "Worship Him" ​​and "Blood Ritual". These two records are considered by many to be absolute milestones of early Black Metal. The second Samael show at W:O:A will deal with the current material of the band. On October 13th, the new studio album called "Hegemony" was released and this one wants to be presented live as well. The pure Black Metal of the early days has come together in a mix of Industrial, Black, Death and also Doom. The classic heavy metal is far from dead! Bands like Night Demon from the USA prove that even newcomers can add something new to the forefather of metal genres - in a brilliant way! Deathcore made in Germany - the Leipzig band of Walking Dead On Broadway destroys everything in its way to glory. They have already released two albums and now they teamed up with a new singer to attack again.